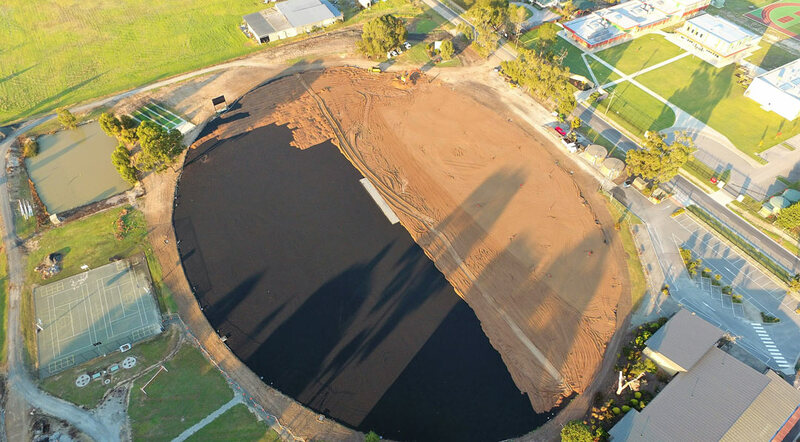 SJM Turf & Civil were engaged by Berwick Grammar School in Officer in February 2017 to reconstruct their existing Oval of approximately 2 hectares in size. The existing oval was built approx. 7 years earlier but had no sub surface drainage installed and just relied on the local topsoil which was either hard as concrete in summer or sodden with water in winter and had got to the point where the schoolchildren couldn’t use it at all. • Strip the Existing Vegetation from the surface & dispose On Site, 2 passes were required with the Top Maker to remove all root matter. • Earthworks to reshape the oval to create the new sub grade levels. • Installation of a new concrete cricket wicket. 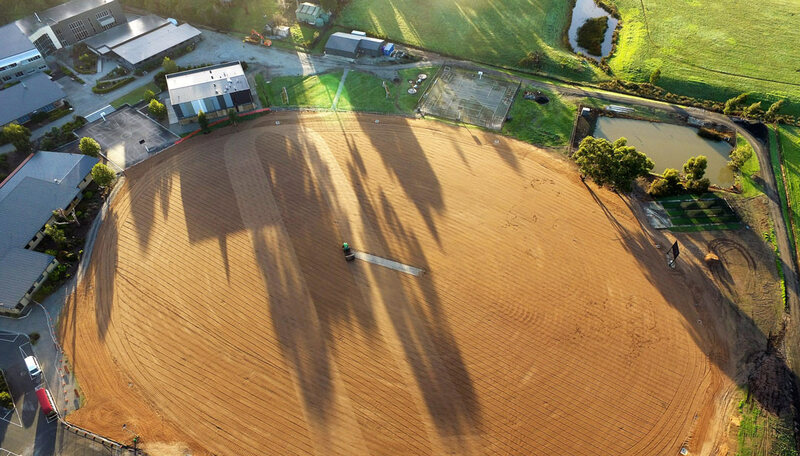 • Installation of megaflo Sub Surface Drainage system over entire Oval. • Adjustments to existing Irrigation System. 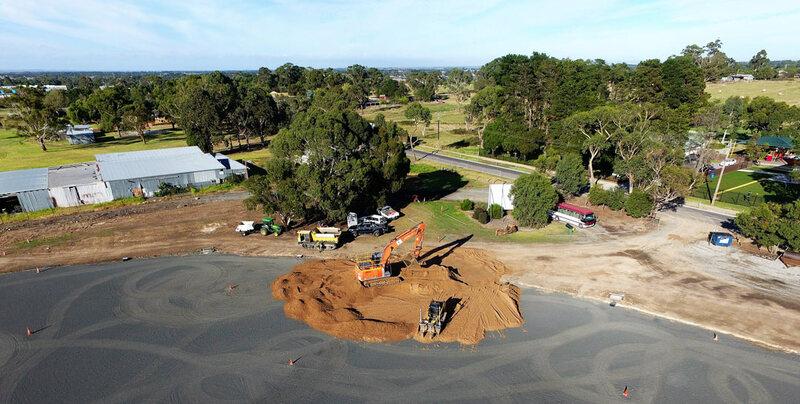 • Earthworks around Oval to form new driveways and access paths. 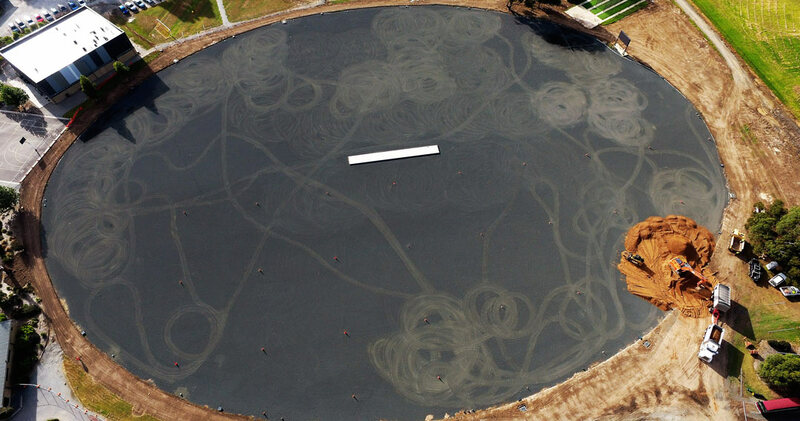 • Placement and trimming of approximately 3,500 Tonne of aggregate at 100mm depth. • Placement of trimming of approx. 11,000 Tonne of Turf Sand. 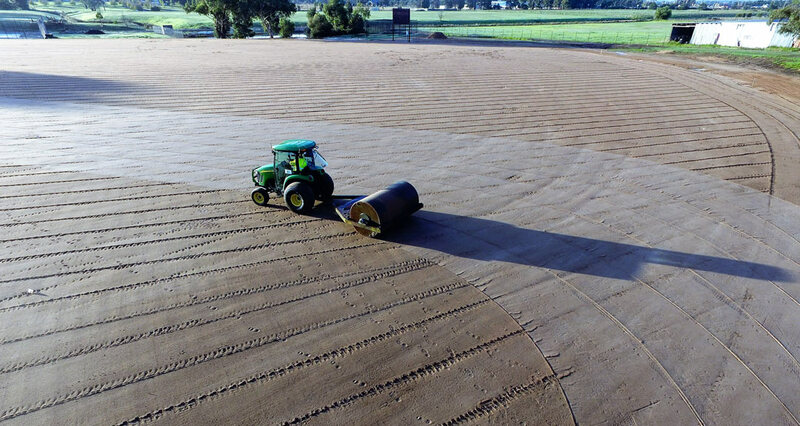 • Laser Grading Turf Sand ready for grassing operations. • Incorporation of ammendments and tilling these in. • Rolling and seeding entire oval with Rye grass.